iPhone screen gone completely black? A lot of users have heard about this problem or they may have even faced it. During this glitch, your iPhone goes completely black and gets stuck, although the device is turned on. It will be impossible for you to use the device, as the screen will be completely black and even if you want to use the phone you will not be able to do it. But if you are wondering "Why does my iPhone screen keep going black?" then the simplest answer would be a hardware defect. So, it is probably impossible for you to fix the device. But some software crashes can also cause the same problem if you are lucky enough. If it is a software problem then there are a few solutions mentioned below, which will more or less fix the issue. There are a lot of iOS users who have experienced this particular problem first hand but it is genuinely a terrible problem for the users. The screen goes completely black and stays like that but the iPhone remains on. The iPhone will even ring but you will be unable to receive the call. 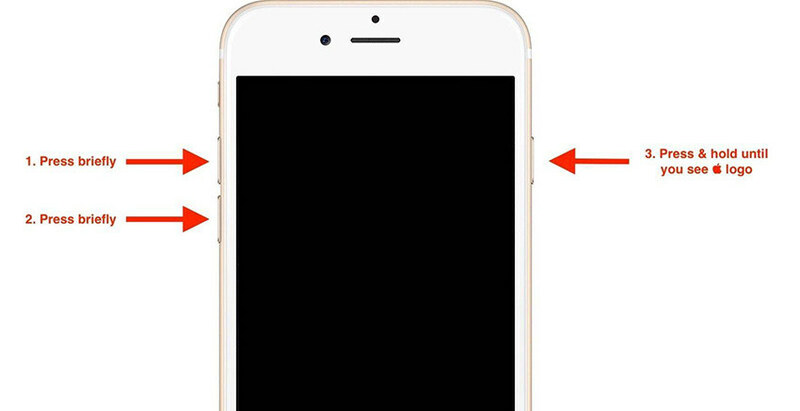 The users generally have no idea what to do in this situation, they constantly ask "why is my iPhone screen black" or in some cases "why is my iPhone camera black". Unfortunately, for them, it can be a hardware issue, so, it will be impossible for the users to fix the problem at home, but that being said, there are times when the same problem happened because of a software crash. If the black screen occurred by a software crash then the users will be able to fix the problem at home and then can start by making a hard reset of the device. Checking the battery can also be a wise decision. The other possible fixes are discussed below in the article. There are a few ways to fix the black screen issue of your iPhone safely at your home but you need to perform the steps very carefully. Some of the best solutions are discussed below. If you are asking "why does my iPhone screen go black" and it is happening frequently then it is possible that the device is out of charge. If you don't charge the iPhone properly then it will shut down and as usual, the screen will go black. So, the very first thing you must do is to charge the device. If charging the device has fixed the problem, maintain a healthy amount of charge all the time and don't let it drop below 20%. 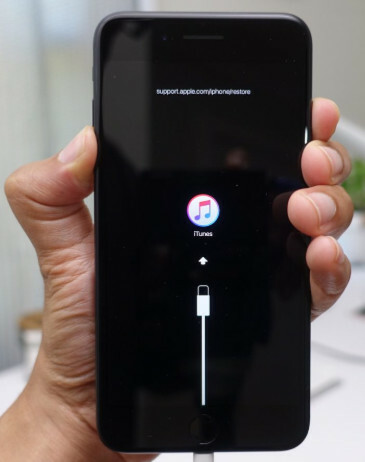 If the iPhone screen goes black randomly and the issue hasn't been solved by charging the device then you can Force Restart the device and see what happens. Force Restarting the device usually fixes most of the troubling issues with iOS devices, so, you can give it a try. The button sequence for iPhone Force Restart is different depending on the model you are using at the moment. So, all of them are listed below for your convenience. 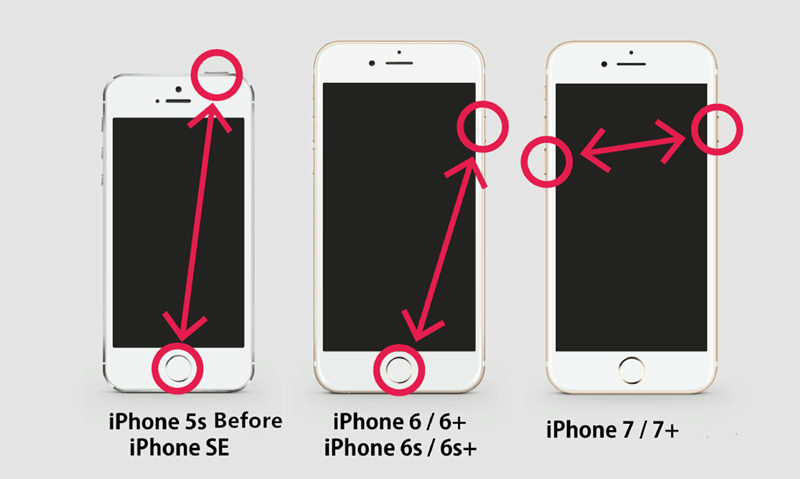 The iPhone 7 series was not manufactured with a physical Home button, so, the button sequence will be different. Step 1: Just, hold the Power button along with the Volume down button. Step 2: You need to keep holding them until you see the Apple Logo once again on the screen. Step 3: Now, you can release the buttons, as the Force Restart is complete. For the latest versions of iPhones, the Force restart button sequence is completely different. Step 1: You need to tap the Volume Up and then the Volume Down button. Step 2: Then, hold the Side button and keep holding it until the Apple Logo is visible on the screen, once more. Step 3: Release the buttons and Force Restart is complete. If Force Restart is not fixing the iPhone then there is possibly a major fault with the iOS. So, you must use a proper system recovery software to fix the iOS. But don't be scared about your data, as we are going to use Tenorshare ReiBoot, to repair the iOS. It is one of the best system recovery tools available and it repairs the OS without wiping out the data. Step 1: Download and install ReiBoot on your computer and then run the software and connect iPhone to computer. Click "Repair Operating System" once the device is recognized. Step 2: Then you'll see an interface like below, click "Start Repair" to proceed if your iOS device is not working properly. Step 3: Then you'll enter the firmware download screen. You can click "Browse" to set the save path for the firmware. Then click "Download" to start downloading iOS 12 firmware package. Step 4: Once the firmware package is downloaded to computer, you can click "Start Repair" to start system recovery. Lastly, if your iPhone screen goes black then it is possible to fix the device immediately if you restore it using iTunes in Recovery Mode. For iOS device, Recovery Mode is very effective and if you restore the device in Recovery Mode then it is quite possible that many problems with the device will get fixed. Step 1: Update the iTunes app on your computer and then connect the iPhone to the computer with a USB cable. Step 2: Turn off the iPhone, if it isn't already. Step 3: Now, it's time to put the device into Recovery Mode. Follow the procedure and sequence above for Force-restart and wait for "Connect to iTunes" screen for every model. Step 4: A pop-up message will appear from iTunes, telling you that the connected device is in Recovery Mode. Step 5: Now a dialog box will have two options and one of them is "Restore', tap on it to restore the device. Step 6: Again, iTunes will ask you to "Restore and Update" your iPhone. Tap on it! Unfortunately, if the solutions above have failed to fix the problem with the device then it is most likely that you are facing a hardware issue. Sadly, hardware issues cannot be fixed by you at home. So, you must take the faulty device to the nearest Apple Support Centre where qualified experts will fix it. But if your device has a lapsed warranty then you have to pay a large sum of money to get the device fixed. It is not very common for your iPhone screen to go completely black. So, a lot of users get into a state of panic when their iPhone starts showing the symptoms. There is no doubt that it is very troubling if such a thing is happening to your expensive iPhone but you need to stay calm and implement the solutions discussed above in the article. Quite possibly they will be very helpful to you, especially ReiBoot. It can fix almost any problems with iOS without even wiping the data. Highly recommended tool!